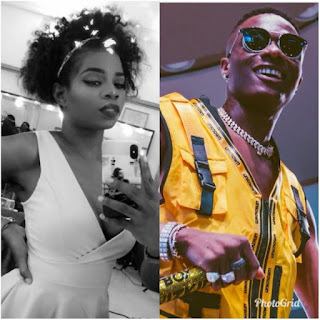 Nigerian pop star Wizkid is currently being dragged by his first baby mama Oluwanishola Ogudu for shying away from his responsibilities and treating her badly. 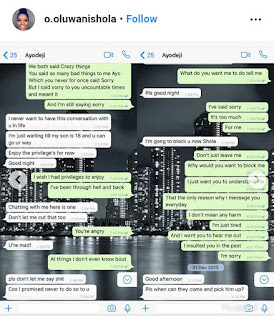 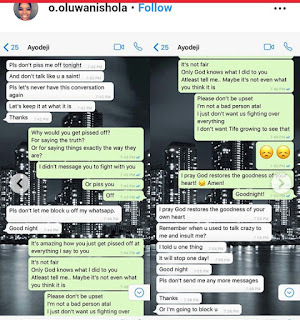 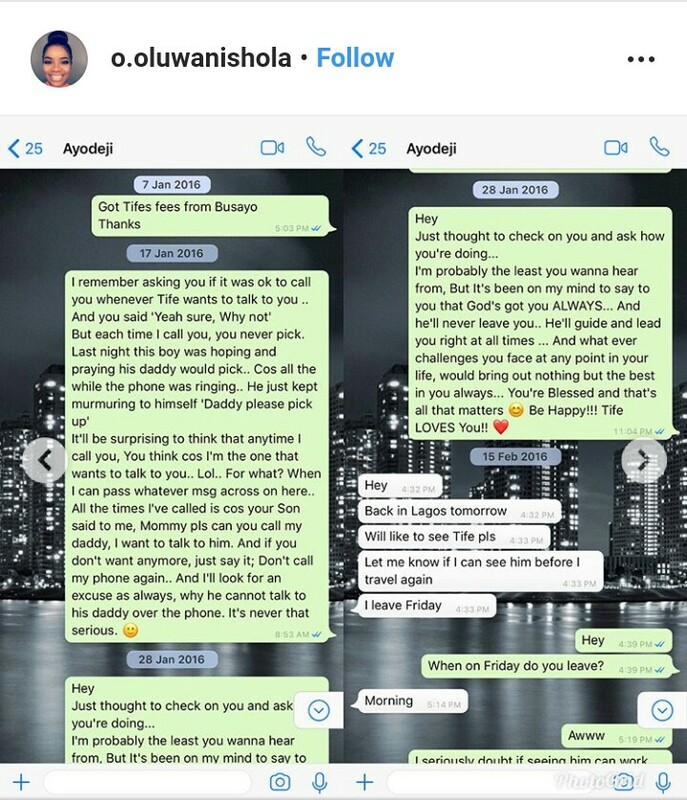 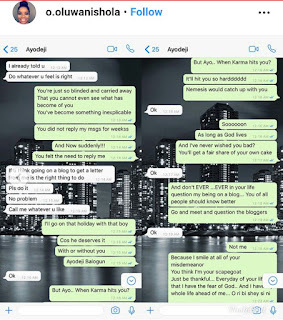 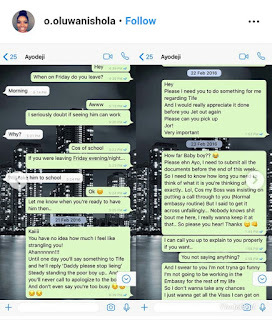 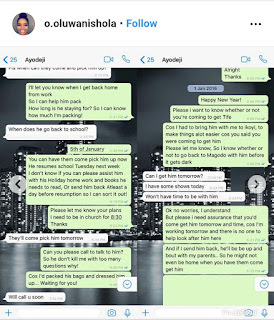 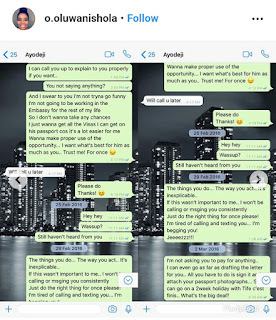 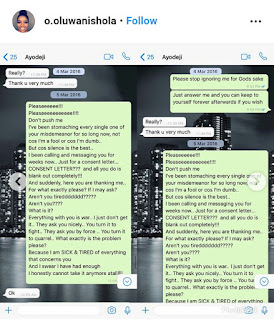 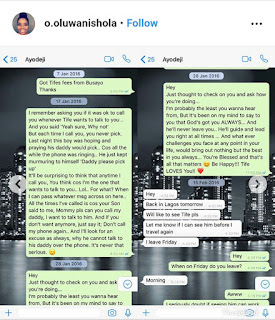 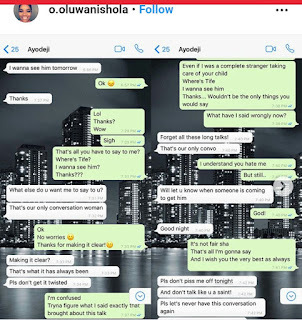 Shola who is the mother to Wizkid’s first son Bolutife, went on Instagram to reveal old chats between herself and the ‘Oguelegba’ crooner. 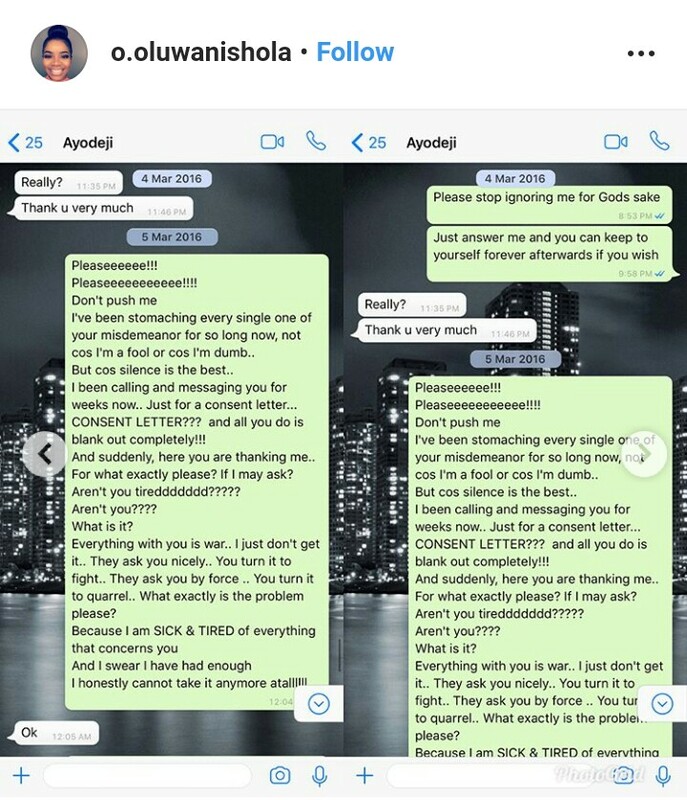 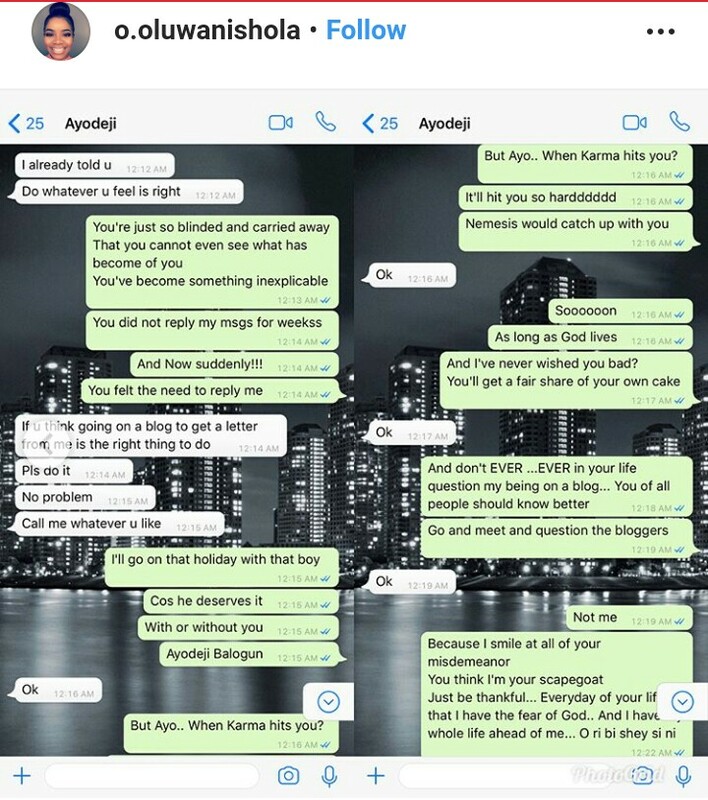 Not only that, she wrote elaborately on her sad ordeal in the hands of Wizkid. 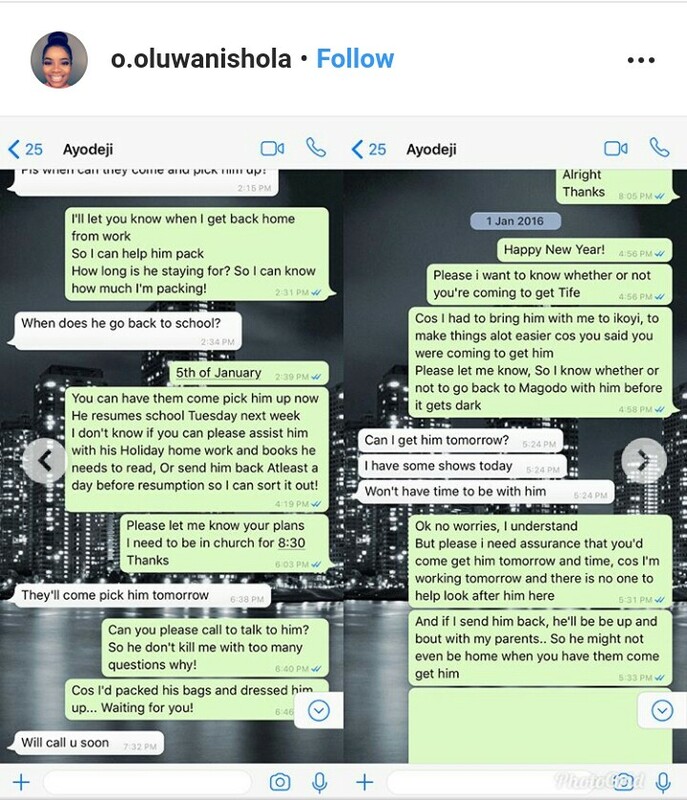 She went on to share that whatever show of love done by the singer towards their son was fake love and a means to score cheap points from fans and the press. 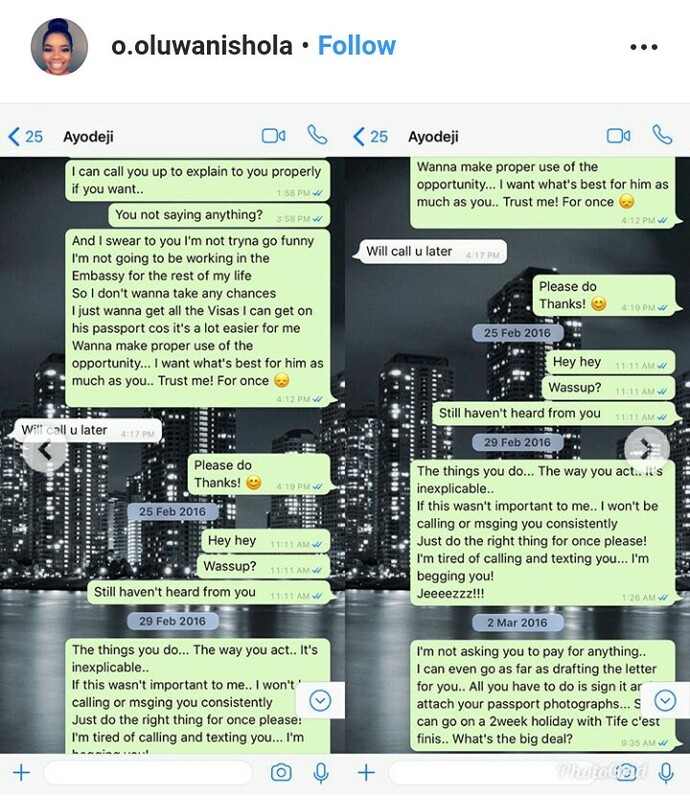 Tife’s mom went ahead to say Wizkid took back some items he ‘bought’ for his sons after he took some pictures and shared it on the gram. Shola’s Instagram page is currently filled with her old chats with Wizkid, we’ll only share a few here.